Shackle side plates, sleeves, and grade 8 hardware. 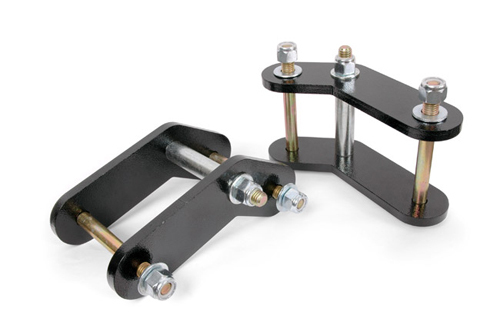 Boomerang Lift shackles are constructed of 3/8" thick steel. All corners are rounded to avoid interference problems. New grade 8 hardware is included with each shackle lift, along with detailed instructions.